The pursuit of criminal justice reform and safety outcomes for law enforcement go hand in hand. The City of Chicago has historically viewed public safety as an atomized issue that is separate from economic issues, public schools, and mental health. I don’t see it that way; I view public safety as a key part of a city’s ecosystem. The most effective public safety programs around the country have demonstrated that criminal justice reform and police reform are not opposing ideas in crime reduction; they are the foundations to achieving it. The more individuals who have positive relationships with law enforcement the safer our neighborhoods will be. At the same time, if fewer non-violent individuals are removed from their community, work and family, our communities will be stronger. As Mayor, I will create the Mayor’s Office of Criminal Justice (“OCJ”) modeled after the New York office by the same name. The office will oversee various task-forces comprised of city, state, and federal law enforcement, subject experts and community leaders focused on multi-dimensional solutions to critical public safety issues; including: gun violence, vehicular hijacking prevention, witness and victim services, domestic violence, juvenile justice, neighborhood stabilization/wellness, sanctuary, and returning residents. The OCJ will build on regional criminal justice reforms that prevent crimes before they happen. The OCJ will also be responsible for synthesizing the current public safety landscape, identifying evidence based strategies that reduce violence and work to coordinate those efforts within the administration and between the City and public safety stakeholders including the community. To advance this work, my leadership as Mayor on this issue is tantamount to success. As I have done with criminal justice reform at the County level, I will continue to demonstrate that leadership and political will that is necessary to ensure that we are working towards reducing violence and improving the lives of all our residents. The City of Chicago must shift away from a law enforcement based approach to drug issues to a public health model. The law enforcement model costs too much and is ineffective in creating positive outcomes and reducing recidivism for those who cycle in and out of the criminal justice system. Under my leadership as County Board President, I have demonstrated the importance of utilizing a public health model to help those who suffered from substance abuse. The extension of behavioral health, including mental health and substance abuse treatment, via the expansion of Medic-Aid through County Care has brought treatment into communities across Chicago, even during the current administration’s closing of much needed mental health clinics. The challenge is to build on this success by serving the most traumatized communities and aligning public safety efforts with public health goals. Cook County’s success in reducing the jail population without a negative impact on public safety, rests in part on understanding arrestees’ need for treatment and support. The specific policies needed to support the alignment of law enforcement and public health include deflecting people who abuse drugs into treatment, and supporting supervision and probation with behavioral health treatment. Treatment must be available to everyone. It must be recognized that addicts do have relapses and that a harsh response is counterproductive. The treatment options should include medically supported treatment to ensure that everyone has the best possible chance at a full recovery. Disproportionate Minority Contact (DMC) exists at every level of the criminal justice system and that can be seen not only when you view the data but when one visits the Cook County Jail, the Cook County Juvenile Detention Center or the Illinois Department of Juvenile Justice. I strongly believe that DMC can and must be addressed if we are going to achieve equity and opportunity for all residents in Chicago, no matter where you live. There is no more glaring example of DMC than in our current drug code enforcement. For example, according to the ACLU, marijuana use is roughly equal among Blacks and whites, yet Blacks are 3.73 times as likely to be arrested for marijuana possession. To address and reduce DMC in Chicago, we must first be honest and transparent in talking about it and the negative impact it has had for many of our residents, particularly in black and brown communities. Second, we must provide ongoing racial biases training, support and resources for all criminal and public safety stakeholders so that they understand how their decisions and interaction with these communities have had a negative impact. Finally, we know that treatment works to end addiction and the behaviors that addicts engage in to support their habit. Providing treatment instead of harsh punishments for low level drug offenders makes sense for everyone regardless of race or gender. It is through the drug laws that young people often first encounter the criminal justice system so reforming such laws will keep many from any criminal justice system involvement. If they also receive treatment and support they will not be forced into crimes of survival which again greatly increases their chances of avoiding contact with the criminal justice system. It has been recommended by the State of Illinois Commission on Criminal Justice and Sentencing that there be misdemeanor amounts for all drugs. It is nonsensical that possession of certain drugs must be charged as a felony even for the tiniest amount. Getting drug offenders out of prison is important for several reasons. One is that treatment is rarely available in prison. Many drug offenders would do much better receiving treatment in the community than going to prison. Illinois’ prisons are dangerously overcrowded. Releasing addicts so they can receive treatment and services while living and working in the community will reduce drug addiction, increase public safety and save money. Equity, particularly racial equity has been the driving force for most of the work that I have done as County Board President. In my third administration, I have once again shown that leadership by drafting a strategic plan that expressly lays out how important racial equity is to the work of government both in terms of how we create policies and how we make budgetary decisions. From my work to reduce the jail population and the racial disparities inherent in that system to the legislative agenda that I have advanced to remove barriers to employment for young people, I am proud of what we have been able to accomplish. I know that as the Mayor, I can use that same framework to help achieve equity for all our residents in the City of Chicago. I support programs that deflect people from any contact with the criminal justice system with the goal of ensuring people get the treatment and support they need. 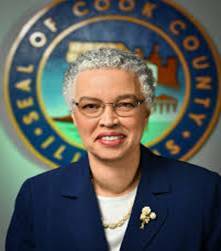 As Cook County Board President, my office works with all the criminal justice stakeholders, the Chicago Police Department and the Cook County Health system to explore and implement deflection and diversion programs within the criminal justice system, particularly for those who struggle with mental health challenges. The recurring problem that I see is that many diversion programs are not carefully enough designed to achieve their goals to minimize contact and deeper involvement in the system. Unfortunately, all too often putting someone into a program means that he or she may be penalized too harshly for failures to comply with program requirements. The reality is that overcoming addiction is a journey and having relapses or missing an appointment for treatment is a part of that journey. If they are in a program that is supposed to keep them out of the criminal justice system, missing an appointment may put them in jail. In fact, missing an appointment may simply reflect that a person is poor and lacks resources not a deliberate challenge to the program. It is clear that the JISC could be improved and I would task my staff to work with all the stakeholders at the table to identify the best path forward based on an evaluation of the data and review of the concerns expressed. If the JISC achieved better outcomes including more successful diversions from the justice system and fewer re-arrests it would benefit both juveniles and the entire community. It must be remembered that the JISC in Miami is primarily operated under the auspices of the providers who offer services to the juveniles brought there. In contrast, the JISC in Chicago is primarily operated by the Chicago Police Department. Giving the providers more of a voice in the operation of the JISC could improve outcomes. As currently run, third-party oversight of the JISC is necessary. We should also explore re-structuring the JISC in the manner that it has been successfully implemented such as in Miami-Dade County. This question relates back to the first two questions. If the police continue to run the JISC it may not be the best place to invest DFSS dollars. If the providers have a more direct role in administration, it may be a good place to invest DFSS dollars because it would provide an opportunity to invest in services for a juvenile at a crucial point in his or her life. As Mayor, I would work with juvenile justice stakeholders and the administration at DFSS to review data and any evaluation of the program to determine how to best leverage these dollars short and long term. I would note that those DFSS dollars must also be viewed through the broader lenses of identifying our resources, how we are spending those resources and what our return on investment is. Ultimately, we want that investment to yield lives saved, decreased involvement in the criminal justice system, a reduction in recidivism and improved emotional and social outcomes for our young people. As President of the Cook County Board, I oversaw the opening of Cook County Public Housing to returning residents to the extent permitted by federal law. I certainly think the Chicago Housing Authority should be as proactive. We also recognized the special needs of returning residents by funding housing programs as part of our recidivism reduction efforts. This funding encouraged private sector innovation and productive partnerships. For example, IMAN, the Inner City Muslim Network Action program, received funding from the County to house and provide construction training for men released from prison. In addition, IMAN received abandoned houses to repair from the Cook County Land Bank. That program should be expanded throughout Chicago. I would look at expanded legal protections for returning residents in consultation with the property owners and managers who provide our best affordable housing. It should be remembered that overall Chicago needs to offer a great deal more affordable housing to returning residents and to many other residents with no justice involvement who need housing. It is ridiculous to argue that increased levels of ticketing for expired city vehicle stickers helps keep poor neighborhoods safer by raising revenue for the city. In my nearly thirty years as a public servant, I have long advocated against policies and practices like these that have a discriminatory racial impact and I would continue to do so if elected Mayor. Over the years, I have worked at the County level to ensure that the policies that we implement do not negatively impact marginalized communities. For example, within the corrections system, I reduced the surcharges the County received from phone calls of detainees to their loved ones, I also have worked with stakeholders and the Clerk’s Office to review and reduce fines and fees for those involved in the criminal justice system, regardless of whether it would negatively impact the County Budget. As Mayor, I would eliminate these discriminatory practices, no revenue should be generated solely off the backs of those who are least able to afford it. Neighborhoods become safer as residents have more income to meet their basic needs. Bait trucks, like the bait cars used to ensnare young people, are indefensible. First and foremost, I would ensure that I have the leadership in place who are aligned with my policy position and the fundamental principles that I have integrated into my government life, particularly in my role as County Board President. Those principles include fairness, equity and excellence in everything that we do, whether it’s adopting policies or aligning our budget with the values we believe in. As Mayor, I would lead by example and review all existing policy and practices with the use of a racial equity assessment tool. For those policies that have a negative impact on any marginalized population, I would work with all stakeholders to either modify or eliminate them. This practice must be carefully examined to see if it is necessary and if hardship cases can be considered so that exemptions may be offered. As I mentioned above, I will review all existing policies to ensure that they do not have a negative impact on any marginalized population. I strongly believe that the consent decree is needed and that we as a City cannot transform our police department and how our officers engage with the community without the oversight and intentionality that the consent decree will provide. It is absolutely a part of the solution when addressing the code of silence and the culture of violence that has persisted for decades with the department. As Mayor, I will ensure that the Chicago Police Department fully complies with the mandates of the consent decree. I will also create the Community Commission for Public Safety and Accountability to oversee accountability and community engagement, working as partners with the Chicago Police Department. The Committee will play a role in ensuring that CPD implements the Consent Decree and will be instrumental in better understanding what community policing looks like as well as addressing the concerns of those most impacted when setting policies and practices. Finally, we must work with front- line officers to ensure that they have the resources and support they need to make the necessary changes outlined by the decree. It should be remembered that the majority of our police officers take their oath seriously and they serve and protect our communities every day, often putting their own lives on the line. For some, they themselves have been negatively impacted by the code of silence and culture of violence that they have witnessed. We must extend support to them so that they feel empowered to help us implement the decree. Training and listening to their concerns, being fair and holding everyone accountable for reform will go a long way to creating the path for their buy-in. I support the concept contained in the consent decree that Police Officers shall direct people in crisis to the health care system. However, the decree does not explain how this is supposed to happen or where specifically people in crisis should be referred. The police need clear guidelines and procedures to implement this and drafting them should be a priority. In addition, I am disappointed that the consent decree does not specifically address the promotion and discipline process with the department. As County Board President, I have a proven track record in successfully working with the unions and negotiating fair employment contracts that are in the best interests of our employees and our tax-payers. Historically, the County's negotiations for collective bargaining agreements extended years past the expiration date of prior agreements. My administration worked with the Bureau of Human Resources and the unions to negotiate the most recent round of contracts in a more timely manner, addressing key operational and policy challenges. I will take this same approach with negotiating the next police employment contract, ensuring that the City reaches a deal that addresses those concerns not reflected in the decree. In particular, we must ensure promotions are based on merit and not on relationships. As mayor, I will see to it that diverse officers with strong records of proactive crime-fighting, stellar complaint records, and a history of strong community engagement are promoted, to set the right tone for the entire department. I will also ensure that officers who require intervention due to their disciplinary records are flagged as early as possible, provided the training and support they need to change their behavior and held accountable if those changes are not made. I opposed the funding for the $95 million police training facility in part due to many of the concerns expressed by activists. Moving forward, if the facility is built, we have a real opportunity to look at it not just from a training perspective but also from a community perspective. Many advocates have considered fully integrating community partners within the space with an intentional focus on community policing and training with the academy. As Mayor, I would work with these advocates, CPD and other partners to determine the feasibility of such a model which would in principle and practice show the true partnership and collaboration needed between police and community.